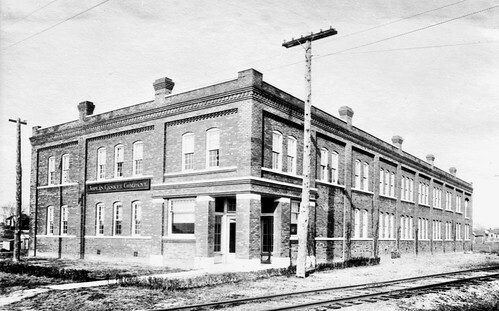 The next photograph in the Alfred W. Rea portfolio series is the Joplin Casket Company Factory. Regrettably, we have not been able to find much on the Joplin Casket Company, but we can at least tell you that it built in 1907 at a cost of approximately $278,000 present day dollars. J.A. Wilson was president, B.W. Lyon, vice-president, J.H. Spencer, secretary, and it was located at 4th NW Cor RR (unfortunately, we’re unable to figure out where this address was exactly). 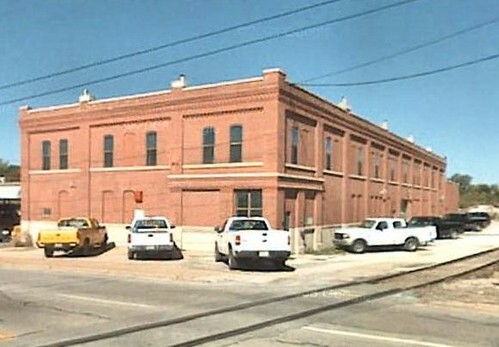 Thanks to the sharp eyes of Historic Joplin followers, Mike Sisk and Clark, we were delighted to learn that the former factory building still stands between Division and School streets on Fourth Street and is owned by the Empire District Electric Company. This page took 0.425 seconds of computer labor to produce.